This homage to the comic book legend could turn even the Incredible Hulk into a mild-mannered everyman. It’s powerfully relaxing, with sativa-dominant genes (60:40 sativa/indica ratio) that deliver a massive dose of THC: Nearly 29% in some tests. 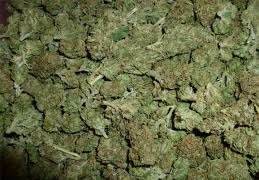 That makes this a holy grail of sorts for patients seeking the strongest high. CBD contents, however, are low, so this is not an ideal choice for conditions that respond to that chemical. The head high is intensely euphoric, combined with strong creativity and a whole-body mood boost. Energy levels are high, making this a good daytime strain. 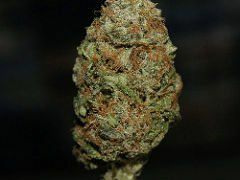 Bruce Banner is a highly effective painkiller, but it’s also good for anxiety, depression, nausea, and sleeplessness. Dry mouth and bloodshot eyes are both common side effects, along with occasional paranoia and dizziness. The dominant flavor is sweet, with notes of citrus and a strong, pungent smell. 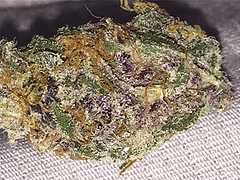 The bud has a heavily frosted appearance due to a thick layer of resinous glands. It’s most popular in Colorado, Arizona, and Oregon, though it can be found elsewhere. 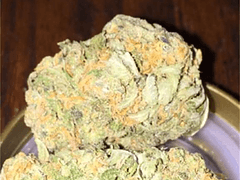 Expect this strain to increase in popularity thanks to its high THC concentrations.